This week's Training Newsletter comes from an email I received from a reader named Patricia. She brought up a number of concerns about defensive firearms for the aging Citizen Defender. "It seems most gun training classes are "targeted" for young people like yourself. Most of our team are seniors, the geriatric bunch. We have never seen trainings advertised by anyone for our ages, 60's & 70's. We are all great shots at the gun range, but we are wondering if you might be interested in teaching specifics about guns and different strategies for us as we lose some of the strengths in our hands." I think her concerns about firearms and aging are very common, however there is a lot for aging Citizen Defenders to work on and practice. What's nice is that the DMT method doesn't require massive hand strength, in fact, I think that too much hand strength and trying to "choke the gun" in a death grip is probably one of the biggest causes of shooting problems. One of the strategies for older shooters could be going a step or two down in round power. That .45 ACP might just have too much juice. Maybe go to a 9mm or even to a .380 auto. Using a larger firearm can also help with grip strength issues as well. I really like the idea of a full size .380 for older shooters. The lighter recoil from the smaller .380 round plus the bigger frame will allow for significantly more rounds on target. A firearm like the Walther PK380 might be an option. It is a larger frame, half polymer firearm, meaning that it will take up more of its own recoil and it has a larger grip for easier handling. However, the external safety and DA/SA trigger complication make it a little less desirable in my opinion. Too many things to teach stressed out hands to remember. The Glock is my firearm of choice. Super reliable and tough as heck. Glock makes a full size .380, but it's not for sale in the US. The Glock 42 is a great firearm, and with extended magazines would roughly equate to a full sized grip, allowing for easier handling. If .380 is still too much juice, the good ole .22 has killed lots of animals. Nearly killed President Ronald Reagan too, if you didn't know. There are a number of good .22 conversion kits that will fit on Glock frames, or the Sig Mosquito is a full metal frame handgun, meaning almost zero recoil whatsoever. Now, I wouldn't call the .22 a "self-defense" round, but any lead flying toward the bad guy is better than no lead flying toward the bad guy. There are a number of good advancements that have been made to help aging eyes. 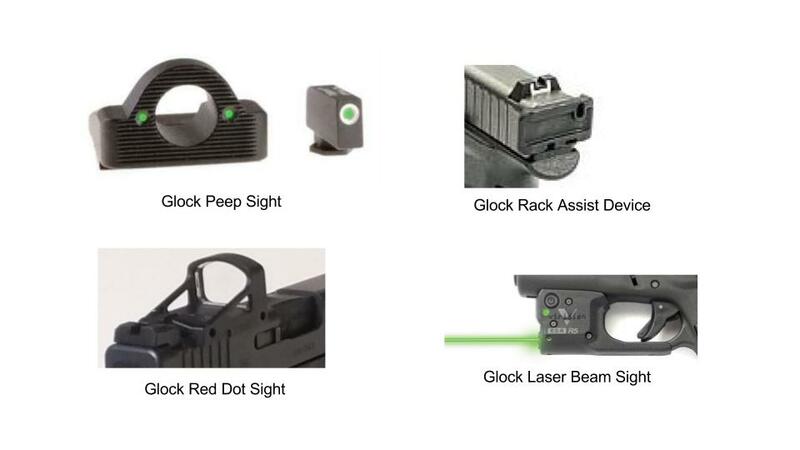 From Peep Sights on handguns, to red dot reflex sights for handguns, to laser beam sights for low light situations, each of these can help the older eyes quickly acquire targets. There are even accessories that will help aging and weaker hands rack slides and lighter recoil springs for handguns to aid immediate action manipulation. There are many new technologies to help older people use handguns in self defense more effectively. Aside from gear, developing a good shooting position is very important. Here you can see two pictures of DMTer Alan. In the first picture, in full recoil, the firearm is rising aggressively. I fixed Alan's body position, and in the second picture there isn't nearly the same amount of recoil for him to manage. Look closely at the trigger finger - in the first picture the trigger finger is touching the red line because his arms are raised due to the recoil, while in the second photo it's quite a bit lower. A simple change in body position and the firearm becomes much easier to handle. It's also important to find a good method of carrying a firearm. I recommend a more modern holster, which will be comfortable and can be worn in a variety of positions (or even off-body). As we age, skill development takes longer and goes more slowly, but doing 5 minutes of practice a couple times a day would help the older shooter make huge progress and keep up existing skills. Having a tool like the SIRT pistol will make a big difference here. Just because you're getting older doesn't mean that your Defender journey is over. There is tons to learn and lots of excellent gear that can make shooting your defensive handgun an entirely new experience that is more comfortable, and more effective for defense.